Your pet could be a liability — or an asset. How to make it work. Some landlords see pets as an alternate revenue stream. Finding a perfect apartment in the East Bay is already challenging, as anyone who's scoured Craigslist this year can tell you. If you're a pet owner, it's even tougher. A quick perusal of local housing listings last week was enough to get a thumbnail sketch of the landscape. Many rental companies don't allow pets at all, unless the owner prove some kind of extenuating circumstance (e.g., a visually impaired person who needs a guide dog). Income Property Investors prohibits animals at its digs on Clayton Road, in Concord. Emerald Properties ruled that fish and birds are fine, but no furry critters, please. Many other places boasted an "animal-friendly" policy, but required all pet owners to pay an additional security deposit — $500 appears to be the industry standard. Evidently, that's your particular cross to bear if you're a renter and you want to own a dog or cat in the East Bay. But experts say there are ways to ease the burden. If you play your cards right, you're more likely to recoup that money. Unfortunately, we're not exactly living in a renter's market. In fact, we're living in a market that's "permanently broken," according to Stephen E. Barton, housing director for the City of Berkeley. Rent prices throughout coastal California are always about 60 to 70 percent higher than those in comparable cities in the United States, barring a cataclysmic event that completely destabilizes the economy. The recession required landlords to lower their prices to account for higher vacancy rates, but they have since raised them back to the high levels seen in 2008. In fact, the Bay Area, like Manhattan and Washington, DC, is a highly populated "island of high rents," Barton said, which makes it extremely competitive, and hard to navigate, particularly if you have a pet. Landlords always have the advantage, and they can effectively create whatever kinds of prohibitions on pets that they want. That gives property owners and rental companies the latitude to demand fairly high fees of pet owners. Many ask for a few hundred dollars as an insurance deposit, in the event that Fido destroys a carpet or digs up the yard. But some landlords see pets as an opportunity for an alternate revenue stream. Longtime dog owner Jackie Phillips, who wrote the book Renting with Rex: How You, Your Dog, Your Landlord and Your Neighbors Can All Thrive in Rental Housing, said that one rental company in Hayward tacked an additional $25 a month to her rent. But while landlords definitely wield the power, it's not always to their advantage to treat pet owners as a fee generator, said Laura Fulda, marketing director of the East Bay SPCA. "They can name a higher price, but they can also get people who are responsible, and who are willing to stay for a number of years," Fulda explained, adding that a good track record with a dog might augur well on a tenant's portfolio. She added that it's to a renter's advantage to have a pet résumé in hand when trying to negotiate with a prospective landlord. It would include assurances about the animal's cleanliness, its joviality, and its health. If you have a frisky puppy but you make sure to take it out for a two-mile run every morning, you should say that, Fulda advised. You might assuage your landlord's fears. 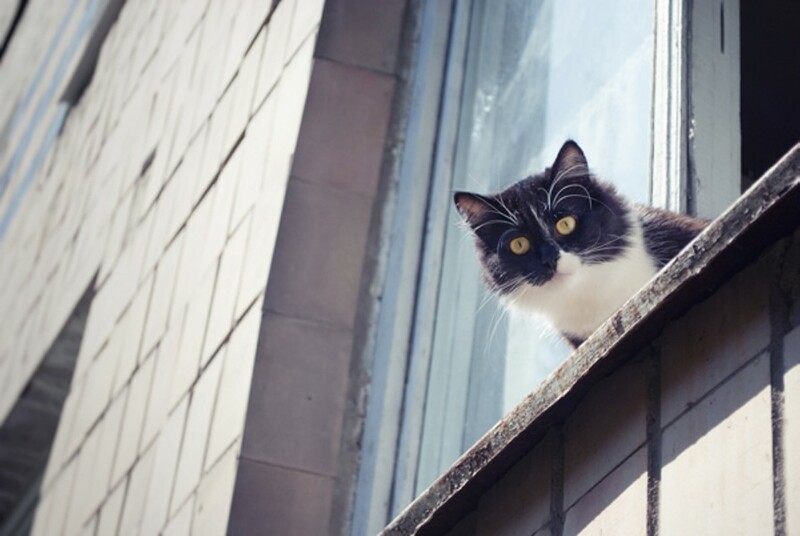 Granted, there's a whole concatenation of other factors to consider when renting an apartment with your pet. Some areas, for instance, are more geographically suited to pet ownership than others. Berkeley is a big checkerboard of two- and four-unit homes with yards where a dog can run around to its heart's desire, whereas other parts of the East Bay are dominated by high-rise apartments, which tend to be more restrictive. Many property owners or managers place limitations on the size or breeds of dogs they allow. Essex Property Trust, which owns buildings throughout the Bay Area, touts itself as a pet-friendly company but forbids "aggressive" types, such as pit bulls, huskies, terriers, and German Shepherds. Iron Horse Park Apartments has a similar policy. Many landlords refuse dogs that weigh more than 25 pounds, since they're considered more destructive. 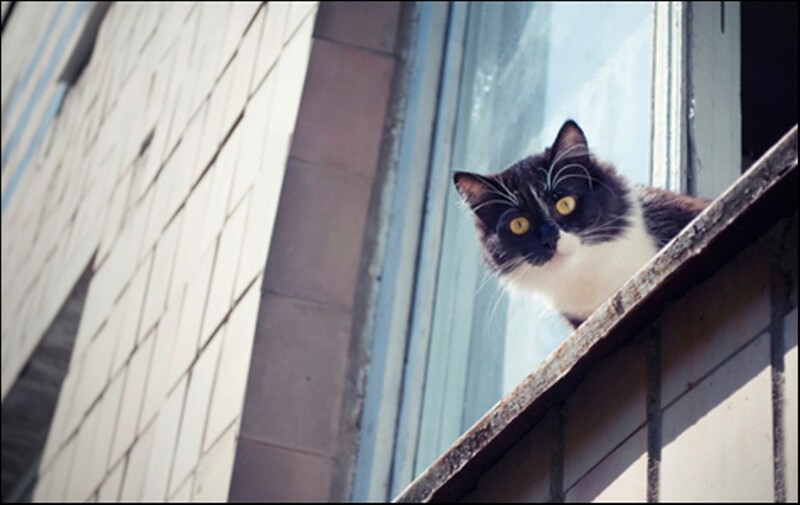 Some Oakland property managers permit cats, but are more wary of canines. Dogs might be "open to discussion," but the discussion could also involve a lot of placating by the renter. Pet enthusiasts grouse about such prohibitions — Fulda says that big dogs just get a bad rap in the media; Phillips thinks we stereotype them for pooping too much — but aren't in a position to challenge them. Generally, Phillips said, once you and your pet find a livable environment, you'll want to stay put. She now lives in a mobile home park with several dogs, which all seem content, she says — most of her neighbors own pets as well. It's one of the better situations she's encountered in nineteen years of renting. With all that said, a pet doesn't have to be an albatross around your neck, owners say. It's possible to recover your deposit if you clean the floors and the carpet before moving. Also be sure to cover your tracks by documenting any damage when you move in, so that you don't have to pay for it, Fulda advised. Take pictures, get video, do before-and-after comparisons, and turn them over to your landlord. The more diplomatic you are, the more likely you'll be absolved of repair costs. Phillips concurs. She has shouldered the burden of renting with dogs, cats, and bunnies in tow, and says that overall, it's been a rewarding experience. Sometimes you have to give up human comforts, like having a carpet or a swimming pool, she conceded. But in exchange, you get the benefit of a happy interspecies relationship. And sometimes it's better in close quarters. Your pet could be a liability, or an asset. How to make it work.